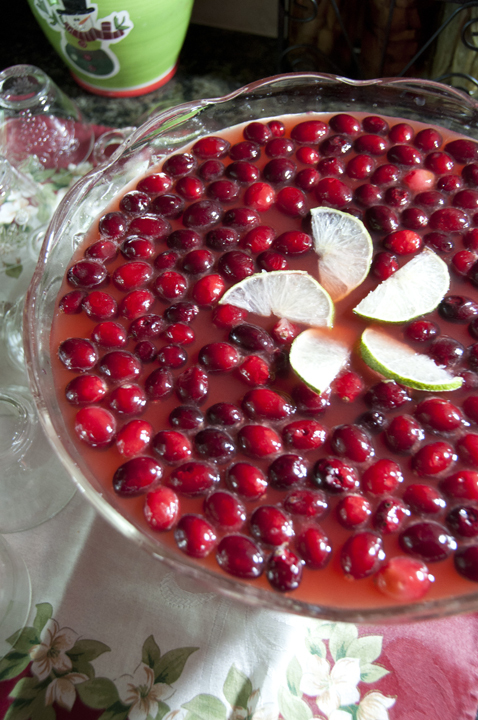 Festive Holiday Red Cranberry Punch recipe is a delicious fruity punch to serve at any party. The frozen cranberries and deep, rich red color make it perfect for Christmas! Someone pinch me – is Christmas really just in a few weeks?! I am just in shock that the season is here already (and that my Christmas tree isn’t even up yet). Normally, it would have been up for over a month by now. Time is really getting away from me over here! In fact, I had the tree up before Halloween a couple of years ago. That made a great first impression with the neighbors who brought their kids trick-or-treating at our house as we had just moved in one month prior. The struggle is real! I wanted to get this Holiday Red Cranberry Punch out there for you so you can include it when making your food and drink list for your Christmas festivities…whether you make it way ahead of time or the day before Christmas. The fizz from the ginger ale makes this fruity punch a hit at any party! This festive red punch is definitely suitable for all ages and easy to put together ahead of time so you can be ahead of the game when planning your gatherings. The rosy color makes it so pretty on your Christmas table. It’s easy and convenient because you can prepare the base of this slushy punch ahead of time. Everyone commented on how good it was and several even requested the recipe – it is always a winner! You can even change the gelatin color/flavor to suit the occasion and your taste (I know some people don’t like cherry). Note: you can even substitute vodka for some of the cold water for an adult occasion. You didn’t hear that from me. Holiday Red Cranberry Punch recipe is a delicious fruity punch to serve at any party. 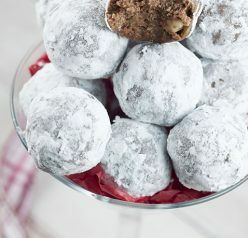 The frozen cranberries and deep, rich red color make it perfect for Christmas! In a 4-qt. freezer-proof container, dissolve gelatin and sugar in boiling water. Stir in pineapple juice, lemon juice and cold water. Cover and freeze overnight. Also freeze 2 big handfuls of cranberries so they will help keep the punch cold once you add to the punch when serving. Remove from the freezer 2 hours before serving. Place in a punch bowl; stir in ginger ale just before serving. Garnish with the frozen cranberries and lime/lemon wedges. Love the gorgeous red color. 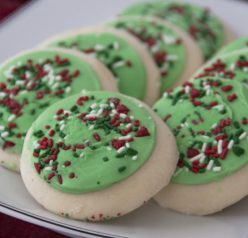 What a great punch for the holidays. 🙂 Can’t wait to give this a try. BTW – Ashley – this punch not only sounds delicious but it looks stunning! This punch sounds amazing and it looks gorgeous! 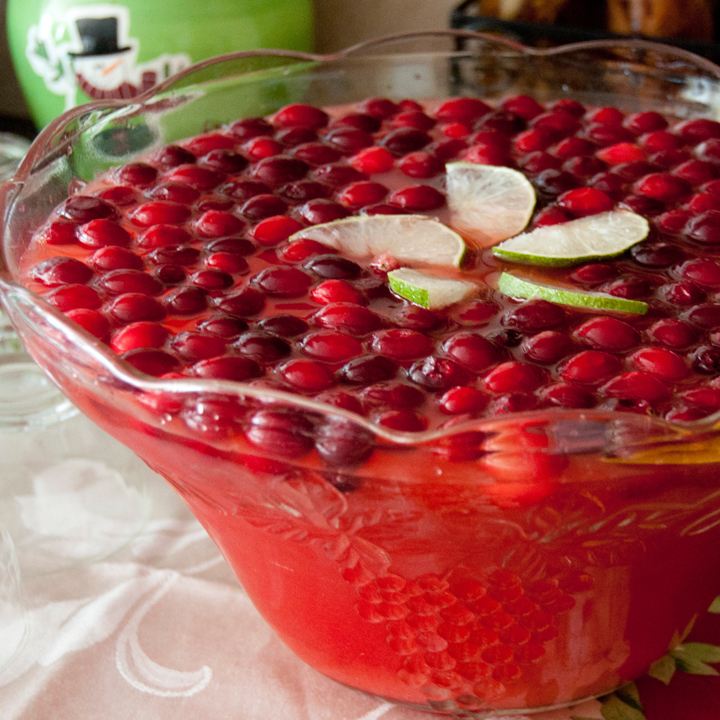 The perfect Christmas punch – so vibrant and gorgeous! This is beautiful! I love cranberries in any form, and this is just so perfectly festive for the holidays. 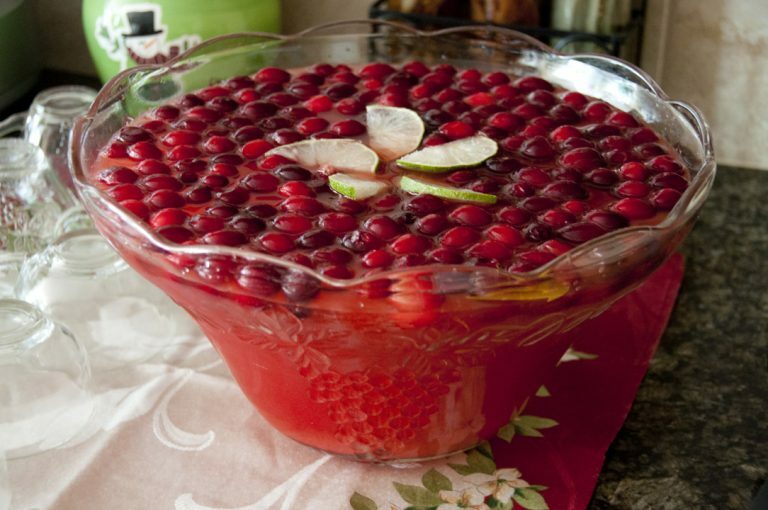 I can’t help but smile when I saw that big punch bowl with all those floating cranberries on top. It’s so festive!!! 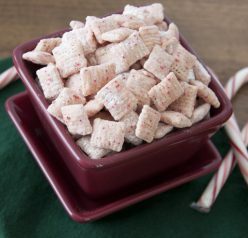 This big bowl of gorgeous bunch screams “let’s party”, holiday-style! So festive and vibrant! What a gorgeous punch – and adding the gelatin is such a great idea!! I know right! I can’t believe that Christmas is like literally knocking on our doors! We haven’t even gotten a tree yet. I’m wondering if we should just use our litte 3 foot tree this year. Ok so I LOVE the punch! Beautiful color and perfect for any holiday party this year!